In the Czech novelist Milan Kundera’s brilliant novel The Book of Laughter and Forgetting, he tells the story of a communist party stalwart, politburo member and hero of the Soviet-backed revolution that ended democracy in Czechoslovakia for half a century. The gentleman, Clementis, was among the select band of leaders who stood on a balcony waving to assembled party supporters as the annual military parade filed past in 1948. A famous photo shows him, sturdy and stone-faced, acknowledging the dutiful cheers of the throng, along with his party boss Gottwald. Since it is snowy and cold, and Gottwald is bareheaded, Clementis has taken off his fur hat and placed it on his comrade’s head. But, soon after the photo was published, Clementis fell out of favour. Some ideological heresy, no doubt, led to him being denounced as a class enemy, a traitor to the party and an enemy of the people. His fall was swift: he was dismissed and executed. His role in the revolution was not just forgotten; it was erased from the official histories authorised by the party. His portraits were taken down, his photos deleted from all communist documents. Then worse followed: records of his participation in historic events were expunged. There remained one problem, however. He had been a participant, along with those who were still in power, in a number of occasions that could not simply be struck from the record. His presence in photographs of those events was a reminder that the communist leaders had once nurtured an apostate in their midst. This was intolerable. Technology permitted a decisive solution to the problem. The original negatives were retrieved, and Clementis was carefully air-brushed out of the pictures. Where Clementis stood, there was now only a gap, a void, an absence. It was the ultimate communist repudiation: they not only destroyed his future, but also abolished his past. The famous picture on the balcony was no exception. Where he had once stood upright next to Gottwald, there was now a bare wall. The photo was republished in various newspapers, documents and publicity materials, but the only version of it allowed to appear was the doctored one. The communists knew that human memory fades; only photographs remain. But, the diligent photographic artist who had applied his airbrush techniques to the original photograph had omitted one detail in expunging Clementis from the photograph—the fur hat remained resting on Gottwald’s head. The man had been erased, but his hat was still there—a silent reminder of his original presence. Something similar has happened in our country. No, we are not yet a dictatorship where only authorised versions of the past can be circulated. But our rulers are busy air-brushing our history, too: Maharashtra’s history schoolbooks have now eliminated the Mughals, and Rajasthan’s tells us that Maharana Pratap won the Battle of Haldighati. Inconvenient facts can be erased from our memory, if we just don’t acknowledge they happened. And, we now have our equivalent of Kundera’s hat as well. 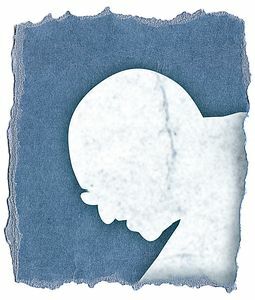 Everything that Mahatma Gandhi stood for is being trashed by our current rulers: The apostle of ahimsa is betrayed daily by those who inflict violence on the defenceless. The man who said noble ends cannot be served by ignoble means is cited by rulers who will stop at nothing to get their way. The great soul who worked tirelessly for peace and communal harmony is cited by a governing party whose MPs have said they want his statues replaced by those of his assassin. Despite all this, Gandhi the brand is too valuable to be junked by the marketing gurus who now rule us. And so, they have reduced his message to that of sanitation: the symbol of the government’s Swachh Bharat campaign is a pair of the Mahatma’s glasses. The Mahatma said one should start by cleansing one’s own mind and heart first. This, our government is incapable of. So the Mahatma’s message, spirit and soul have vanished from today’s India. His ideals are gone. Only his glasses remain.